I have been waiting to write about this use case for what seems like an eternity. Our Kickstarter has finally launched, production is underway and the product is finallyavailable for pre-order! So I am happy to announce we can now make any USB 2.0 webcam wireless! This has been one of our most popular requests since we released the HuddleCamHD 3X back in 2014 and the demand for easy to install USB based video conferencing equipment has been growing tremendously. The industry's first Wireless USB extender for 1080p video is here! HuddleCamHD just launched the world's first Wireless USB 2.0 extension system on Kickstarter today! When it comes to professional meeting spaces is it really OK to have USB cables draped over the floor? How many conference rooms have you been in with cables connecting the computer, to the USB camera and speakerphone all draped over the floor? Well, today we are announcing the industry's first ever wireless USB extension system built for video conferencing! For those of you who did not follow the HuddleCam Air release schedule which officially ended at Enterprise Connect 2015 in Orlando, you may be interested in learning a little bit more about the world's first pan tilt zoom wireless USB conference camera. 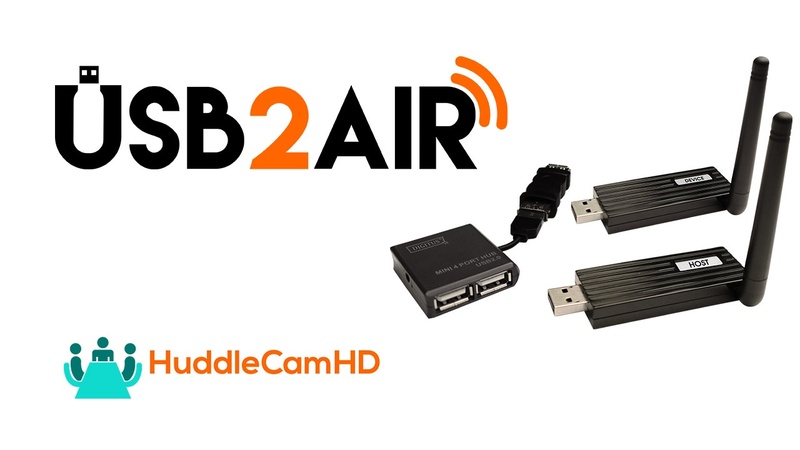 The HuddleCam Air uses the latest "Super Speed" 5GHz wireless frequencies to achieve near-zero latency video to any computer for web conferencing over a USB 3.0 connection. Matthew Davis lead engineer states "The latest Super Speed wireless standards paried with the super speed USB 3.0 computer connections have allowed us to create the worlds first latency free USB conference camera". This new conference cameras was all the rave at Enterprise Connect 2015 but many real world applications have already started. Davis continues "The initial build was meant to save time during installation. We are eliminating the troublesome USB 3.0 cable that drapes over the floor in boardrooms everywhere.... while this remains the primary use it's interesting to see new case studies... my personal favorite is the car manufacturing lines using this technology to wirelessly view the production line throughout every stage down the line." We have below the HuddleCam Air release webinar and the slidedeck for anyone who wants to dig further into this technology. 2/27/15: The latest HuddleCam release information will be posted here. It's true. The world's first wireless USB PTZ camera is here. Well almost. 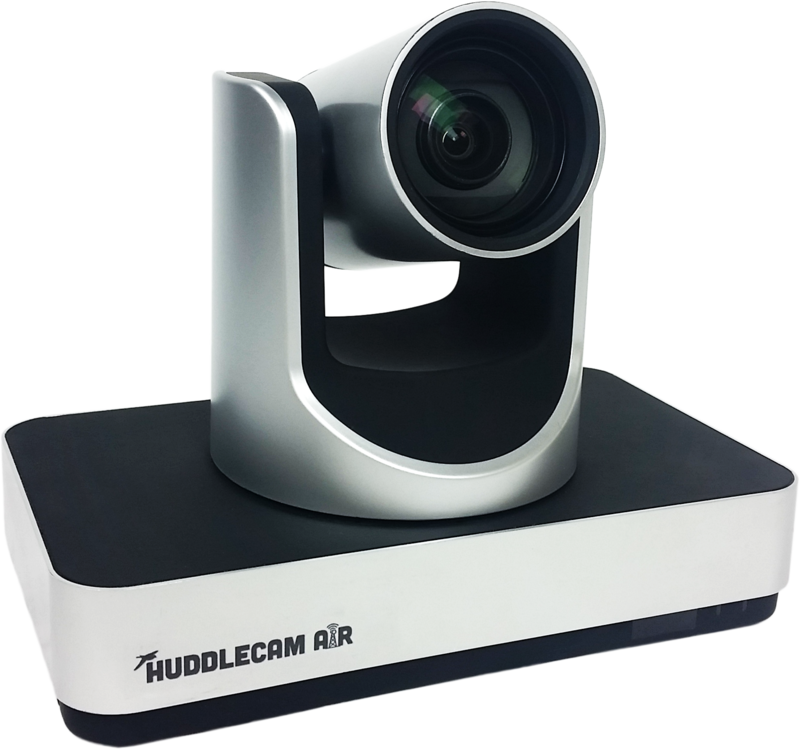 The first public release of the HuddleCam Air will be March 16th. The HuddleCam Air will be the first "Zero-Latency" wireless PTZ USB camera in the world! Check out the complete release schedule below. 3/4/15: Video # 2 is released.